The Forum of People's Democratic Party - New Media Aides (PDP-NMA) has described the persistent refusal of President Muhammadu Buhari to sign the Electoral Amendment Bill as part of the All Progressives Congress (APC) and the President's plot to rig the 2019 elections. The Forum, which called on the National Assembly to override the President without further delay, said only a President that was not interested in free, fair and credible elections would deliberately withhold his assent to an amendment to the Electoral Bill for a record four times. In a statement issued on Tuesday, by its Acting National Publicity Secretary, Edoko Wilson Edoko, the PDP-NMA said the President and his party were already rejected by Nigerians, prompting their plot to manipulate the electoral process next year. 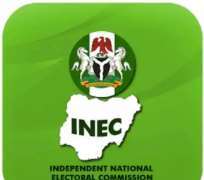 The Forum said; "First, they fought against alteration of election sequence, prompting questions as to why they were afraid of Presidential election holding separately. "Now, they are against the Electoral Bill and the question is, what is their fear? Is it that the Electoral Bill if signed into law won't allow for the return of bogus votes as was done for the President in 2015? "Critical provisions of the amended Electoral Bill are capable of bringing the much needed sanity into our electoral system and only a president that is afraid of facing a free and fair election will withhold his assent to such a Bill for four times. "This is more so that President Buhari cannot wash his hands clean of the barefaced rigging of the Ekiti and Osun States governorship elections in particular and other recent elections held in the country. "The National Assembly must therefore act with the zeal of patriotism by overriding the President on this all-important Electoral Bill so as to save democracy in the country from this imminent destruction from the hands of a President who is desirous of holding on to power at all cost." Civil Society Organizations (CSOs) and patriotic Nigerians are not left out as we all need to collectively rise upl against what can best be described as executive impunity which is capable of creating more tension and anarchy in our already fragiled polity.